The Mercedes-Benz G-Class first made its appearance in 1979. Over the time period of 33 years it has undergone many advancements. 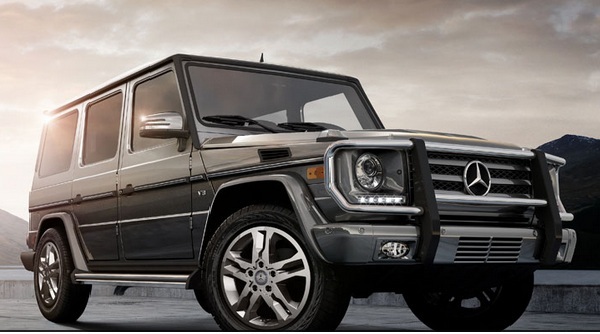 However, the 2012 Mercedes-Benz G-Class is the new luxury car that is sure to catch your eyes. The exterior is stylish and elegant and the interior is comfortable. The safety features are more advanced and the powerful engine can give an outstanding performance. It exhibits an elegant and an eye-catching exterior with LED daytime running lamps and new exterior mirrors. The AMG radiator grille with double louvers and distinctive new bumpers with large air intakes give it a more outstanding look. The 20-inch wheels are integrated beautifully into the sides of the body. The interior is luxurious and is fashioned with exquisite materials. The instrument panel and center console are redesigned. The trim elements are fashioned with a new look. The 2012 Mercedes-Benz G-Class offers two engine choices including the G 350 BlueTEC and the G 500 on both long-wheelbase Station Wagon and short-wheelbase Cabriolet model. The G 350 BlueTEC with V6 diesel engine generates an output power of 211 HP. The BlueTEC technology with the the addition of AdBlue minimizes its emissions. The G 500, with its powerful 5.5-liter V8 petrol engine gives an output of 387 HP. The 7G-TRONIC PLUS automatic transmission gives fastest acceleration. The G 63 AMG with V8 Biturbo engine gives an output power of 544 HP and the G 65 AMG with V12 Biturbo engine gives an output power of 612 HP. The new-generation G-Class is expected to be available from June 2012. 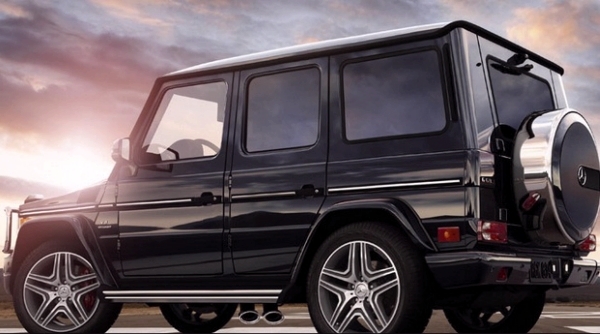 So, get ready to experience a luxury drive in the 2012 Mercedes-Benz G-Class.